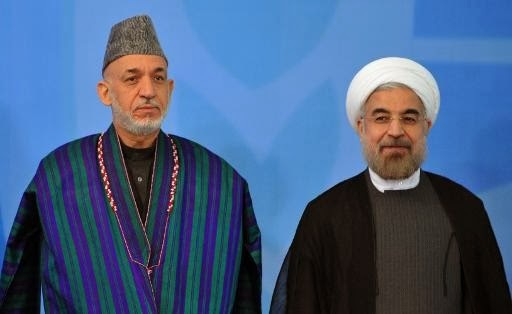 Afghan President Hamid Karzai is to visit Iran on Sunday. The Afghan-U.S. Bilateral Security Agreement (BSA), which lays out the rules for U.S. troops to operate in the country after 2014, is expected to top the agenda during meetings between Karzai and senior Iranian officials. Karzai is refusing to sign the BSA, even though a Loya Jirga appointed by him approved the pact last month. On Saturday, U.S. Secretary of Defense Chuck Hagel arrived in Kabul amid disagreement over whether he would even meet the Afghan president in the face of the security pact row. A meeting is reportedly set for late Saturday. Without the BSA, The United States and its NATO allies will have to exercise the so-called “Zero Option,” meaning no troops left behind at the end of 2014, pretty much like what happened in Iraq. Meanwhile, the Iranian government has been strongly pushing for the Zero Option. anti-Americanism is always recipe of disaster - in case you did not know; without the agreement Afghanistan will fall in to the hand of Pakistan and Taliban and that would be contrary to the Interest of Afghanistan.